PALM BEACH COUNTY, Fla. - The U.S. 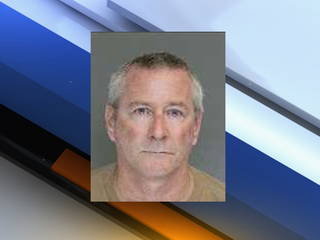 Marshals Service has arrested a man suspected of setting fire to a Riviera Beach RV center. Marshals picked up Benjamin Harris in Walterboro, South Carolina. The fire on August 5, caused $300,000 damage to the Waits RV Center in Riviera Beach. Eight RVs burned in the fire.